Among the sweeping changes to the U.S. tax system made by the Tax Cuts and Jobs Act (TCJA) were modifications relating to the treatment of net operating losses (NOLs) and certain business losses. Newly-generated NOLs are now limited to 80% of taxable income and, for taxable years ending after December 31, 2017, may no longer be carried back. They are, however, now carried forward indefinitely. Existing, pre-TCJA NOLs continue to offset 100% of taxable income. Aggregate active business losses of noncorporate taxpayers in excess of $250,000 ($500,000 for married filing jointly) – termed “excess business losses” – are disallowed. Disallowed amounts are carried forward as part of the taxpayer’s NOL (and subject to the new limitations). The excess business loss provision applies after the passive loss and at-risk rules. The following examines these changes to the loss provisions, as well as their practical application. An NOL results when, in a tax year, a taxpayer’s business deductions exceed gross business income. Pre-TCJA law generally allowed NOLs to offset 100% of taxable income1 and provided for two-year carryback and 20-year carryforward periods, to the extent not utilized. NOLs not used at the end of the 20-year carryforward period expire. NOLs are generally utilized in the order incurred; thus, earlier NOLs are utilized first. Individual, trust, and corporate taxpayers can have NOLs. Example: In 2018, ABC Corporation realizes a loss of $10 million, which gets carried forward to 2019 as an NOL. In 2019, ABC earns taxable income of $10 million. While prior to the TCJA, the full $10 million NOL could be utilized to fully offset the $10 million taxable income. Following the TCJA, the 2018 NOL carryforward is limited to 80% of taxable income, or $8 million.3 Thus, ABC will have taxable income of $2 million and an NOL carryforward to 2020 of $2 million. Example: XYZ Corporation has pre-2018 NOL carryforwards of $5 million and earns taxable income in 2019 of $4 million. The pre-2018 NOLs of $5 million are not subject to limitation, however, and can be used to fully offset the $4 million of taxable income. Example: XYZ Corporation has pre-2018 NOL carryforwards of $13 million and generates a $14 million NOL in 2018. It earns taxable income in 2019 of $15 million. The 80% limitation is, therefore, $12 million. The pre-2018 NOLs of $13 million are not subject to limitation and could be used in full against the $15 million of taxable income, leaving $2 million of taxable income. The $14 million of 2018 NOLs are, however, limited to, 80% of taxable income, or $12 million, and it is doubtful that any may be utilized since the 80% limitation has been surpassed with the pre-TCJA NOLs. Congress chose different effective dates for the NOL carryback and the 80% NOL limitation provisions. The 80% NOL limitation applies to tax years beginning after December 31, 2017, whereas the carryforward/carryback provision applies to tax years ending after December 31, 2017. For calendar basis taxpayers, this difference is irrelevant. Example: ABC Corporation is a March 31st year end, fiscal year taxpayer. For its taxable year, April 1, 2017 through March 31, 2018, ABC incurs a $10 million NOL. Based on the wording of the statute’s effective dates, ABC will not be able to carry back any of the 2017 loss because the rule against NOL carrybacks applies to taxable years ending after December 31, 2017. This creates an inequity between calendar year and fiscal year taxpayers for 2017 return years, and commentators have urged Congress for a technical correction. The second significant TCJA loss provision, found in new section 461(l), applies to noncorporate taxpayers and the use of trade or business losses to offset non-business income. For tax years ending after December 31, 2017, only a certain amount of business losses are allowed to offset nonbusiness income. The limitation amounts are $250,000 for individuals and $500,000 for joint returns, and the statute provides for inflation adjustments. Losses in excess of these limitations – excess business losses – are carried forward to later years as additional NOLs and subject to the new limitations. Unlike the NOL provisions, which are permanent, the excess business loss provision expires in 2025. Example: The facts in this example have been selected to generate zero taxable income under pre-TCJA law. In Year 1, a single taxpayer earns $1,000,000 of interest and $200,000 from passive businesses, but has a $1,200,000 loss from a business in which the taxpayer materially participates. These facts generate a net business loss of $1,000,000 and non-business portfolio income of $1,000,000. The business loss in excess of $250,000 of non-business income (an “excess business loss”) – will be limited and carried forward to year 2 as an NOL. This results in $750,000 of taxable income in a year when actual net income is zero. In Year 2, assume the same facts. The taxpayer will have the same $750,000 of taxable income flowing thru the first step of the calculation, but will also get to include the excess business loss from Year 1. Under the new rules governing NOL utilization, the taxpayer is allowed a deduction of up to 80% of taxable income. The NOL deduction is $600,000 (80% of $750,000), resulting in taxable income in Year 2 of $150,000. To reiterate, this fact pattern generates $900,000 (Year 1-$750,000 and Year 2-$150,000) of taxable income, which under pre-TCJA law would have been zero. Example: A single taxpayer engages in business activity A, a passive activity, as he/she does not materially participate, and business activity B. Activity A generates a $150,000 loss in 2018, and activity B generates a $200,000 non-passive loss. The $150,000 loss from activity A would be suspended under the passive loss rules, leaving only the $200,000 loss from activity B. Since this falls below the statutory threshold for an excess business loss, the full amount could be used to offset non-business income and/or carry forward as an NOL. Key questions remain regarding the utilization and application of this new excess business loss rule. Will regulations adopt the rules governing NOLs for determining what is business income (e.g. wages are included) and deductions? Will NOL carryforwards be considered a business deduction for this computation, thereby exacerbating its adverse effect on taxpayers? How will the income of securities traders (i.e. hedge funds) be clarified for this purpose? 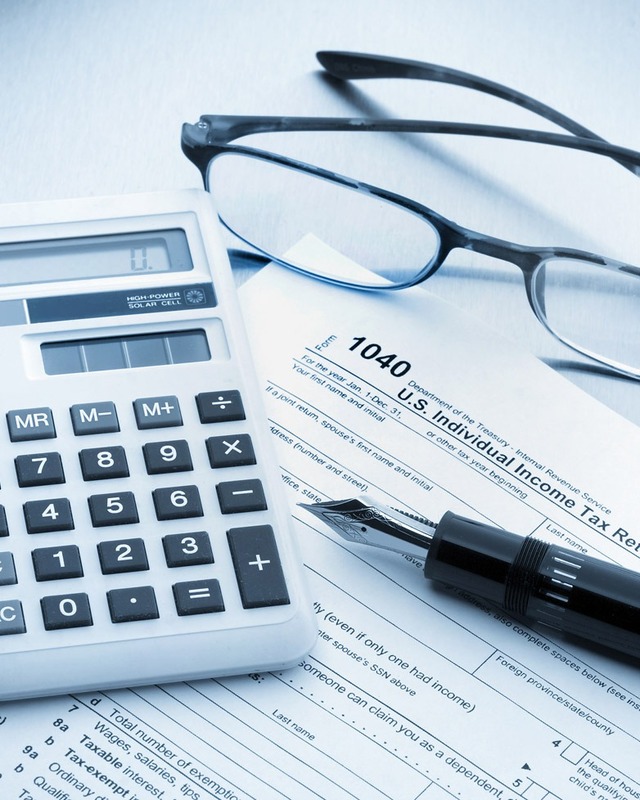 Your Berdon tax advisors remain singularly focused on the continuing developments regarding the TCJA, so that we may help clients maximize available benefits and minimize the effect of its provisions that can do economic harm. Questions? Contact Geoff Kayton at 212.331.7525 | gkayton@berdonllp.com or reach out to your Berdon tax advisor. Berdon LLP New York Accountants. 1 NOLs are also limited for alternative minimum tax (AMT) purposes. The TCJA repealed the AMT for corporations. 2 The effect of the different effective dates on fiscal year taxpayers is discussed below. 3 As mentioned, following the TCJA’s changes, the NOL must be carried forward; it can no longer be carried back.